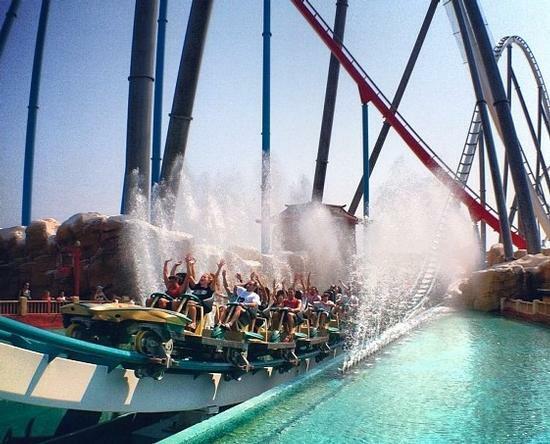 Shambhala is an excellent roller coaster in China and one of the best attractions at Port Aventura. The minimum height to ride is 54 inches. Shambhala, a Bolliger & Mabillard Mega Coaster, debuted in May 2012. Themed to a Tibetan kingdom, the coaster will be Europe's tallest, with a 255-foot drop. The coaster will feature multiple airtime hills and a top speed of more than 82 miles per hour, but as is the case on B&M's Mega coasters, it won't go upside-down.